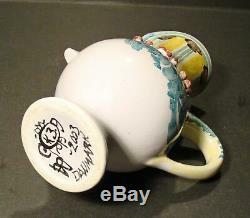 BJORN WIINBLAD VINTAGE STUDIO WHIMSICAL SIGNED 7 FACE PITCHER OR JUGWOW! 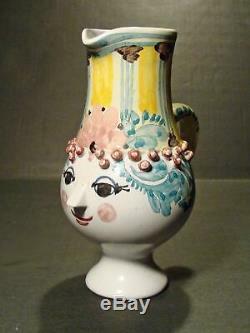 This is an amazing whimsical vintage Bjorn Wiinblad Face Pitcher or jug. 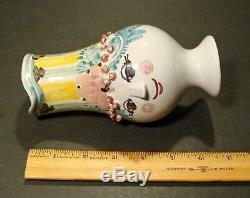 The jug measures about 7 tall and about 5 1/2 across the widest point from the nose to the handle. 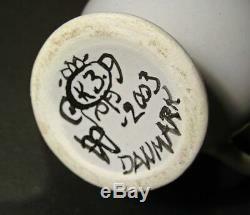 The pitcher is signed BW 2003, Danmark, on the the bottom with addition marks as shown in the pictures. 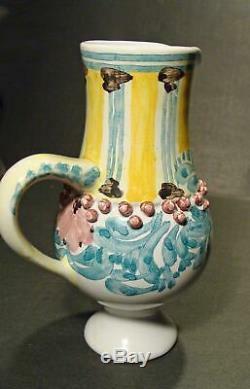 This Bjorn Wiinblad Face Pitcher is in very good clean condition with no problems or restorations. 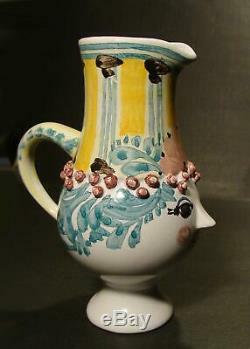 This Whimsical Bjorn Wiinblad Face Jug Pitcher would be a wonderful gift for yourself or someone special. 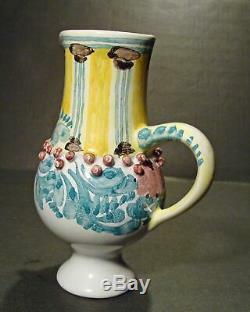 The item "BJORN WIINBLAD VINTAGE STUDIO WHIMSICAL SIGNED 7 FACE PITCHER OR JUGWOW" is in sale since Thursday, March 14, 2019. This item is in the category "Antiques\Periods & Styles\Mid-Century Modernism". The seller is "dab1202" and is located in Virginia Beach, Virginia. This item can be shipped to United States.